I made this chicken pie for dinner. I am not one of those Chinese who maintain the tradition of fish, meat, vegetables and soup aka the 3 dishes and one soup per meal type. Maybe I have been in UK too long. 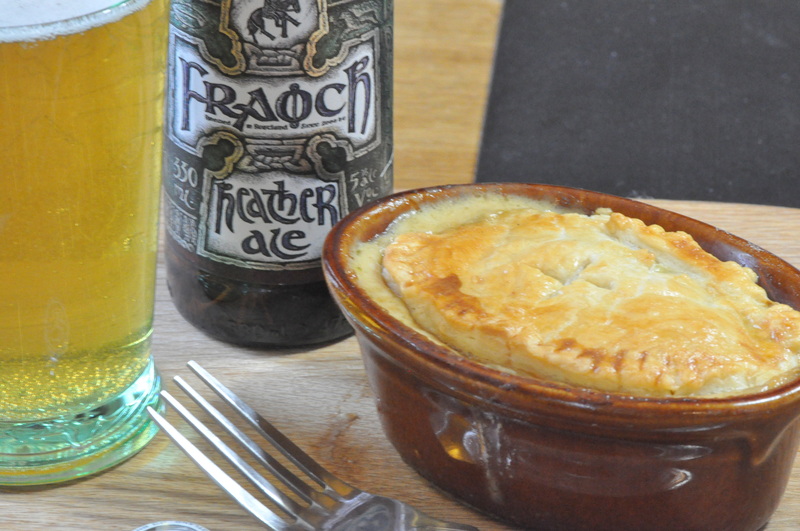 Tonight’s dinner – a pie and beer is all we need. 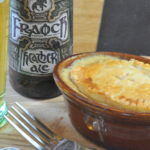 Chicken and leek pie. Please feel free to add in anything you like to your pie. 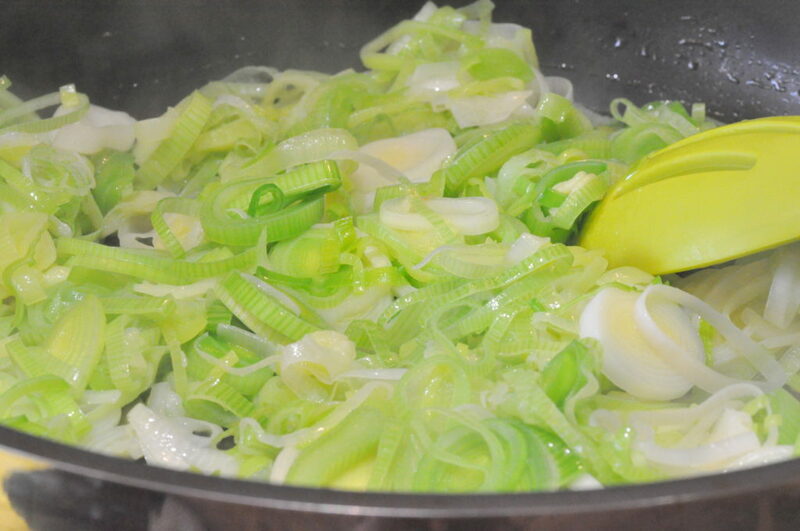 Fry leeks, onions and garlic in butter till soften and add in sliced chicken breasts. Next add in the mushroom and your vegetables, the white wine and chicken stock. Bring to boil and add in the cream and Dijon mustard seeds. 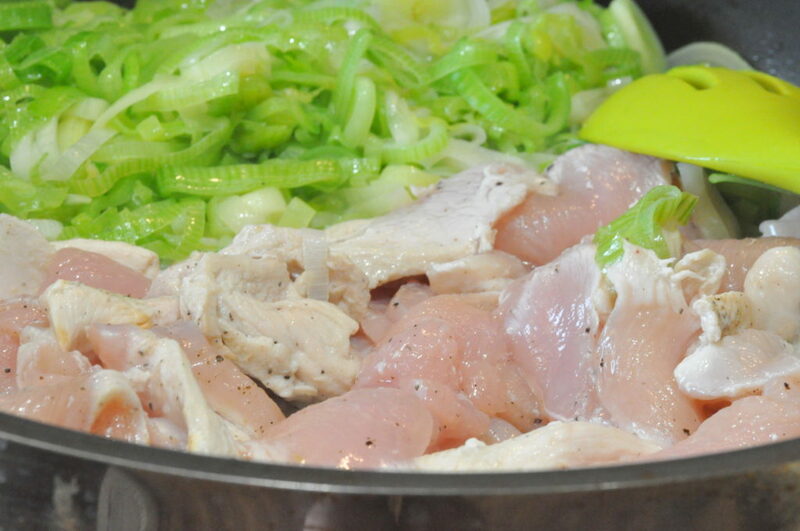 Thicken with roux. Season well. 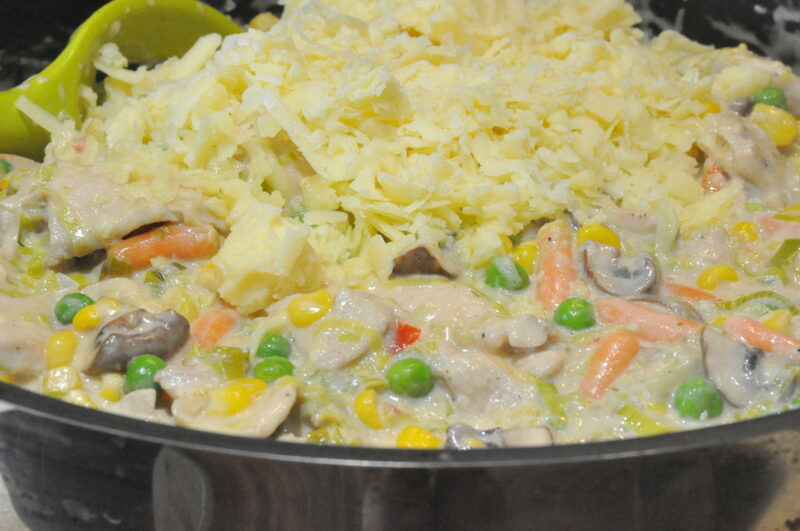 Turn off the heat and then add in lemon juice and grated cheese. Wait till cool down then assemble your pie. 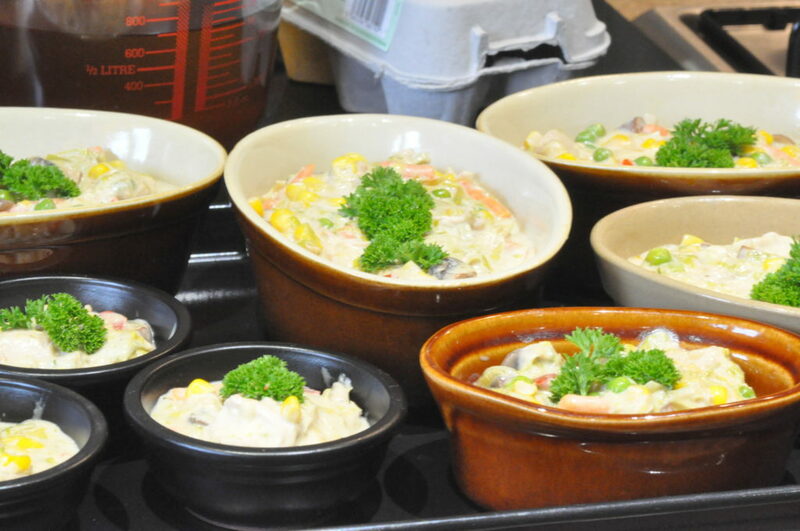 Fill your pie dishes. Roll out and cut your pastry to cover the top of your pie dishes. TIP – If you brush the sides of your pie dishes with some butter the pastry will rise nicer and stay crispier and fluffier. I much prefer this way then to seal the sides and cut holes in the middle for letting the steam out. The pies looks prettier this way. p/s A roux is typically made from equal parts of flour and fat by weight. This is normally added to thicken sauces.